Best wishes from my family to yours for a blessed CHRISTmas. Prayers are with you for a great time of family, fun, good food, celebratory gifts and worship of our Lord. Click HERE to view a short video ‘Tip for Dads’ on sharing the Christmas story with family. “Do not be afraid; for behold, I bring you good news of great joy which will be for all the people; for today in the city of David there has been born for you a Savior, who is Christ the Lord. This will be a sign for you: you will find a baby wrapped in cloths and lying in a manger.” – Luke 2:10-12. And the shepherds heard the angels sing, “Glory to God in the highest, and on earth peace among men with whom He is pleased.” – The first Christmas! I encourage reading the first two chapters of the gospel of Luke together as a family sometime Christmas eve or Christmas day to help keep the Reason for the season in focus. Prayer guide: Father, thank You for Your Son, the Word become flesh on that first Christmas morn. It is hard to comprehend the journey that began that day but Your plan was given Life. Today I get caught up in the worldly noise around the holidays and allow my eyes to drift from You. Forgive me. Help me keep my eyes focused on You the author and perfecter of our faith, that I may rejoice fully in relationship with You, the Reason for the season. Thank You for being our Father and blessing us with Your Son. Merry Christmas indeed. Amen. 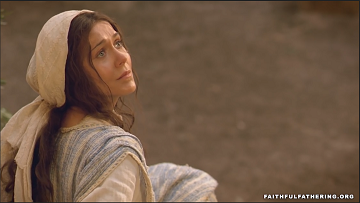 A faithful father keeps his family focused on the Reason for the Christmas season. Great reminder to read the Christmas story to our families. Not because we have not heard it before, but rather because it honors God and reminds us all of the reason for Christmas. Thanks be to God for Emmanuel, Christ the King! INDEED!! Thank you Rick and a safe and blessed Christmas to you and your family! God bless.